India's coasts and islands, which are densely populated, are highly vulnerable," said Bhushan, who is also deputy director general of New Delhi-based advocacy group Centre for Science Environment (CSE). The study said the complete erosion and inundation of Parali I was pointing to the gravity of issues associated with coastal erosion within the atoll. 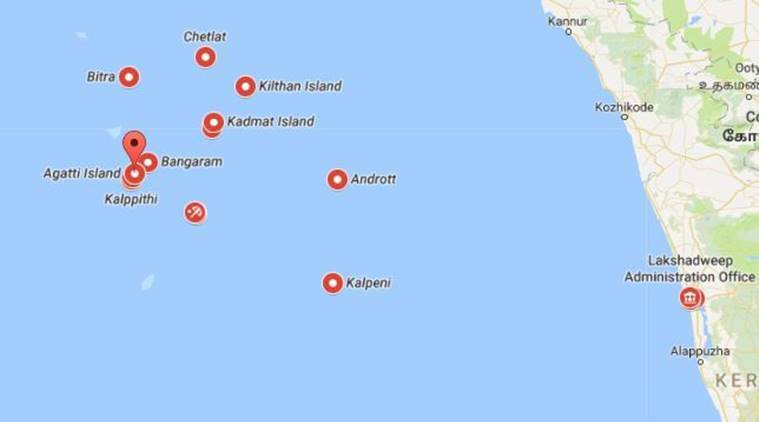 One of the biodiversity-rich uninhabited islands part of Lakshadweep has vanished due to coastal erosion and another four such territories in the sea are shrinking fast, claims a new study. Parali I island, part of Bangaram atoll, which was 0.032 km2 in 1968 has been eroded to an extent of 100 per cent, resulting in its inundation, says R M Hidayathulla in his research work. He conducted studies on assessment of the biodiversity confining to five uninhabited islands –Bangaram, Thinnakara, Parali I, II and III, of which Parali I has been inundated–of Bangaram atoll in Lakshadweep, an archipelago of 36 islands in the Lakshadweep sea. On an overall assessment of the changes in the aerial extent of islands using RS/GIS, it has been noticed that all the five islets of Bangaram atoll had undergone coastal erosion, it said. “The results are indicative of the urgent measures to be implemented on each islet of the atoll to check further erosion.. It is also recommended to check the feasibility of a bio protection strategy using mangroves, in addition to the conventional physical protection measures,” Hidayathulla told PTI. His guide on the environmental studies, C C Harilal, said submergence of Parali I was noticed when he visited the Bangram atoll in 2011. The data obtained were processed using Remote Sensing (RS) and Geographic Information System (GIS) softwares, Harilal said. “One island has submerged.. We can say Lakshadweep now is not an archipelago of 36 islands,” he told PTI. Hidayathulla said the assessment of the extent of geo-morphological changes associated with each island for a period of 45 years was carried out using geospatial techniques. “Since the absence of this island (Parli I) is noticed in both observations carried out in 2003 and 2007, it is assumed that the island has been subjected to complete erosion during 1968-2003 periods and an assessment of the exact year of its inundation requires data analysis for a span of 35 years extending from 1968,” said the study. Hidayathulla, in his study, said a general trend in erosion has been noticed in almost all islands he studied. The magnitude of such events was higher in Parali group, evidenced by the complete erosion and inundation of the island Parali I, the study said. Noted climate expert Chandra Bhushan hailed the work and said this is one of the very studies done in India to establish the erosion and complete inundation of an island. “It is now widely recognised that islands and coastal areas are going to get eroded and inundated due to rising sea levels because of increasing global temperature. India’s coasts and islands, which are densely populated, are highly vulnerable,” said Bhushan, who is also deputy director general of New Delhi-based advocacy group Centre for Science Environment (CSE). “With the sea levels predicted to rise further, we should start preparing for building defenses to protect our coastlines and islands,” he told PTI. The magnitude of net erosion was higher in Parali I island (100 per cent), which resulted in its inundation. Apart from Parali I, net erosion was higher in Parali II (80 per cent), followed by Thinnakara (14.38 per cent), Parali III (11.42 per cent) and Bangaram (9.968 per cent), the study said.